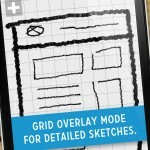 Drwer - Sketch easy ($0.99) by Tanner Christensen is a super fast way to get your sketches down on your iPhone or iPad. 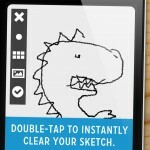 While artists may need some great apps for drawing, sometimes you just need a quick sketch and nothing more. I'm not an artist by any means, but sometimes I do need to do a quick sketch to prove a point to someone, or maybe I'm bored and just want to doodle. Inspiration can strike at any time too, and it's not always just words — images can come into my mind, and perhaps I want to try and recreate them. While it's nice to have all of those fancy drawing apps, sometimes it's overkill, especially for non-artsy people like me. 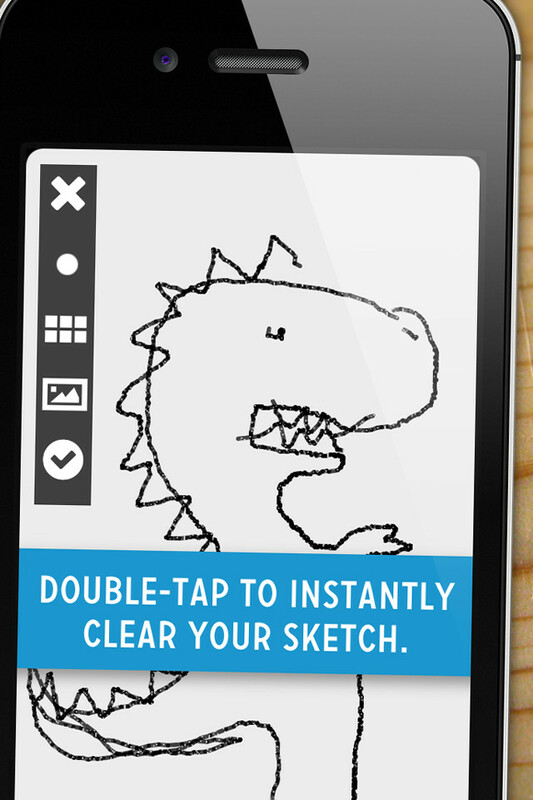 Fortunately, Drwer is a simple answer to the quick sketch. 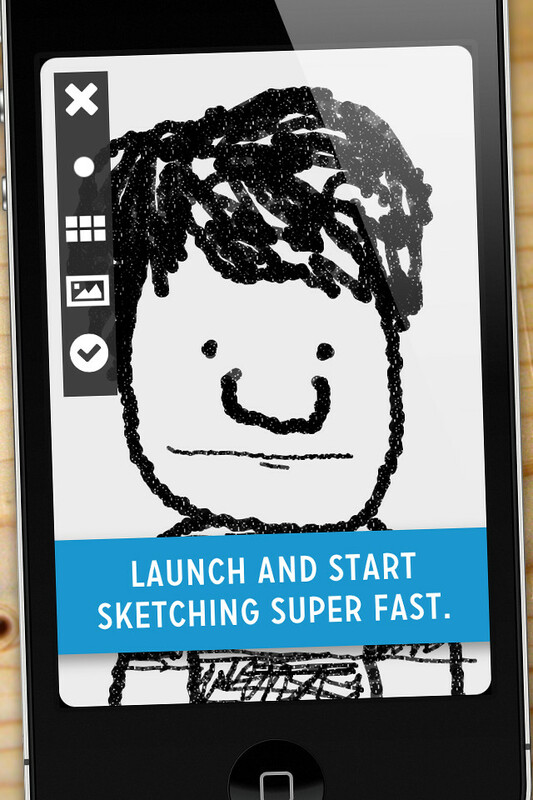 With Drwer, you will launch on to a blank canvas, ready to go. There are no notebooks to create for your collection of drawings, nor any backup or syncing solution. 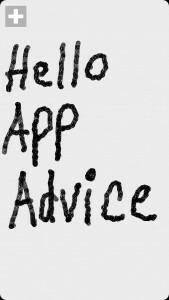 Once the app launches, you will just sketch. 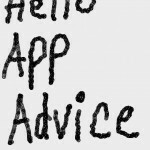 It’s rather easy to start using the app as well. By default, the larger brush size will be selected, though you can always switch to the smaller, more fine brush with the menu in the top left corner. There is only black ink, so you don’t waste any time making a fuss about the perfect shade of purple, red, green, or whatever. 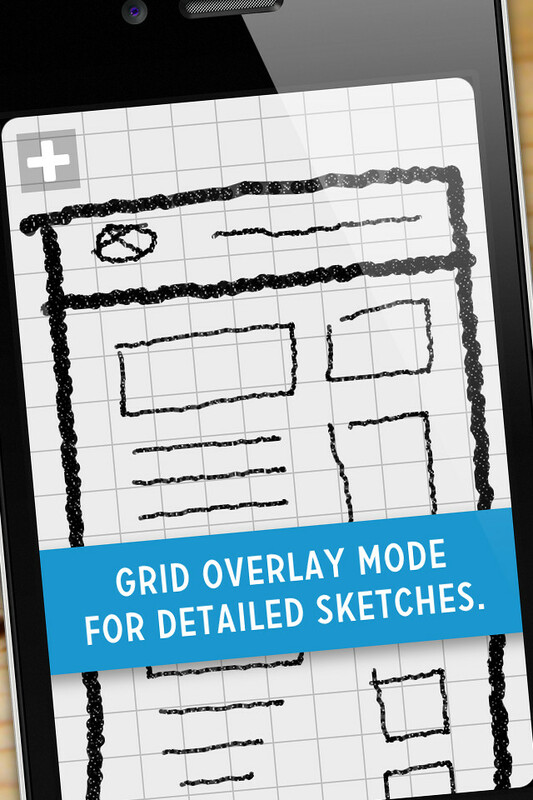 If you prefer to draw on squared paper, an option to toggle the grid can be found in the unobtrusive menu. 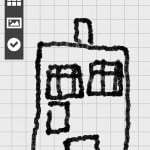 So while you’re scribbling in Drwer, what if you’re unhappy with the result? A double-tap will erase everything on the screen, and you can start over. Unfortunately, there is no eraser tool, so it’s an all-or-nothing approach when a mistake is made. 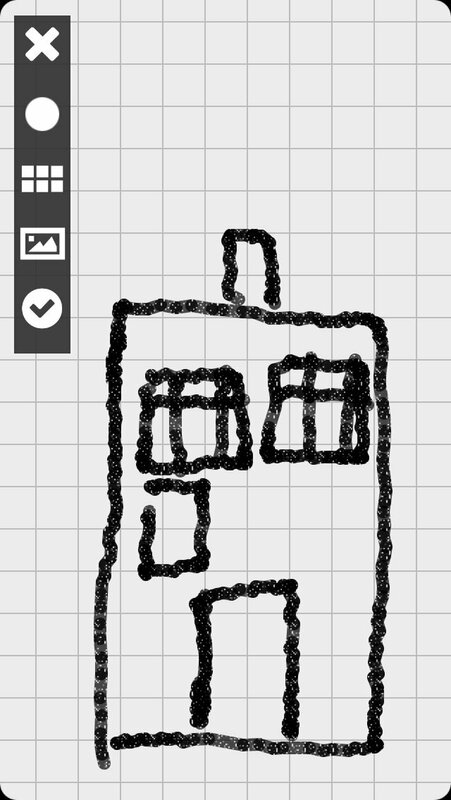 I think it’s a bit silly to not have an eraser tool in a sketching app, so hopefully this can be implemented in the future. When you’re done with a sketch, you can save it directly to your Camera Roll for further options, like sharing, backing up to iCloud, and export. 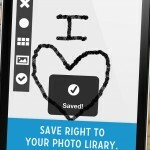 Drwer also has the option to import images from your Photo Library, so you can sketch over them. 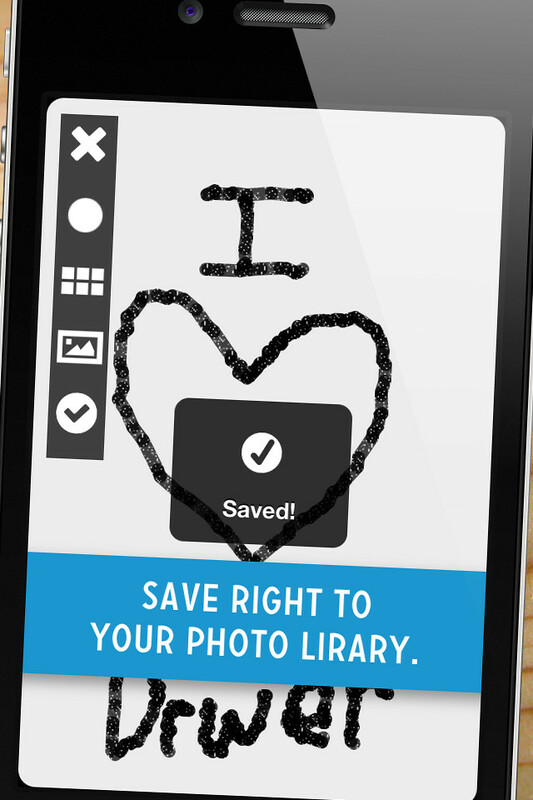 This means that if you save a sketch from earlier, you can import it into the app again to add more changes. 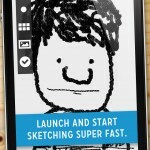 This is a barebones sketching app, and it does what is advertised. However, it still needs a bit more work. For one, having an eraser is crucial, because it becomes incredibly annoying to have to wipe everything if mistakes are made. Then again, I suppose that’s the point of sketching. I also wish that the ink would be a bit smoother than what it is, since it currently looks a bit “grainy.” It would also be nice if you could zoom in and out of the canvas in case you need more space. 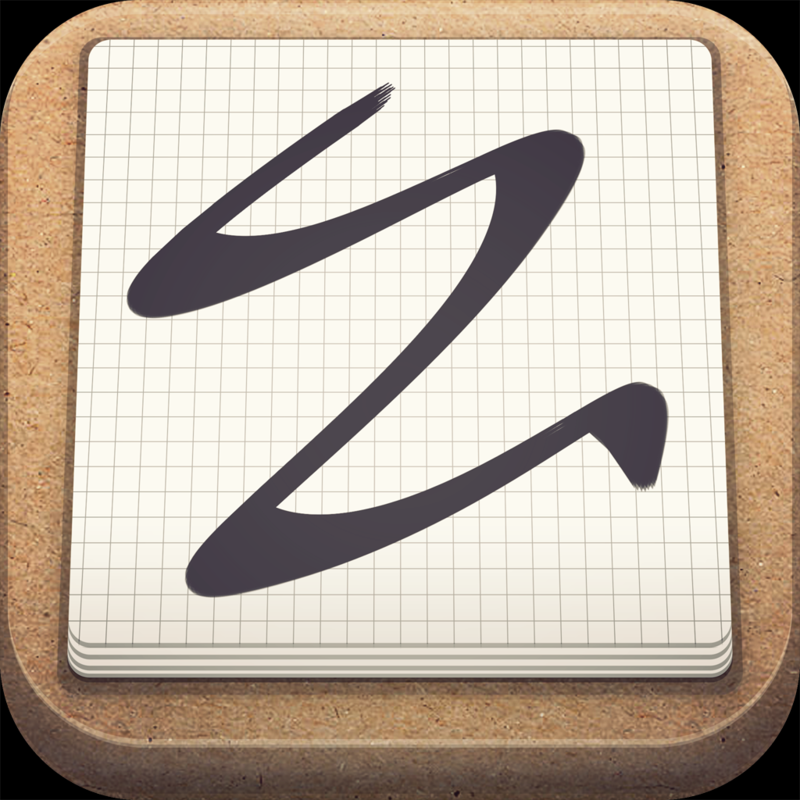 If you are okay with quick sketching without the ability to erase mistakes, then Drwer is a fine little app. You can find it in the App Store for your iPhone and iPad for $0.99.